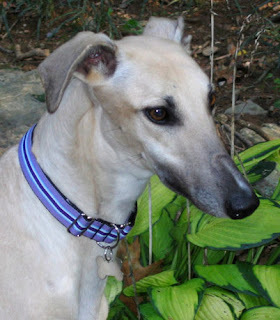 We received an email from Laurie Carey yesterday reporting that she lost her greyhound Tera. Laurie and her family adopted Tera from our group in October of 2006. Laurie reported that Tera went in for a routine dental last week – she gets one every year – and during the dental her heart stopped. This was a shock and not expected. Tera was nine years old. Laurie did state that the vet, who knew Tera very well and treated her for years, worked for nearly an hour trying to revive Tera. We are all saddened to hear of Tera’s passing, especially when it was so unexpected. We know the Carey family is devastated. But we also know that Tera had a most loving home with her family and that is all she remembered. She was a fortunately dog to get such a great family. Run free sweet girl; you were loved.